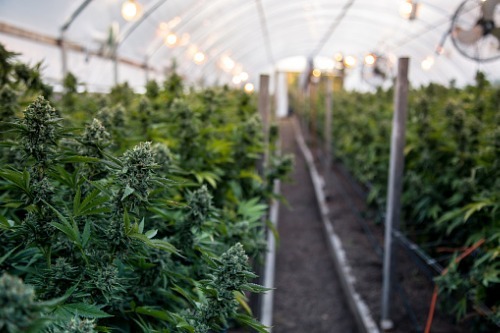 Exceeding even optimistic estimates, Canadians’ demand for recreational marijuana in the wake of the October 17 legalization has reached stratospheric heights – enough for major producers and sellers to struggle hard to keep up. According to the Ontario Cannabis Store, it received 100,000 orders in just the first 24 hours of its operation. Quebec’s online and in-store orders also reached nearly 140,000 in the first week since October 17, and the provincial-owned retailer admitted that it might have to close down some locations due to supply drying up rapidly. Complicating matters is that licensing takes a considerable length of time, according to industry players. “We’re biting our nails and I think our shareholders are biting their nails too,” according to Anthony Durkacz, who is the director at Ontario-based producer FSD Pharma Inc.
“We want to be supplying,” he stated, adding that while FSD has received its cultivation license a year ago, it has yet to receive its sales license. Durkacz explained that the processing of the sales license is a tortuous path that can take as much as 341 days. Other requirements include producing and sending for testing two full crops, as well as having sales software audited. “So even after you’ve done everything and done everything right you could be waiting up to a year to get the license,” he noted.